Crafts : She soaks a doily into Mod Podge and puts it on a bowl. She soaks a doily into Mod Podge and puts it on a bowl. 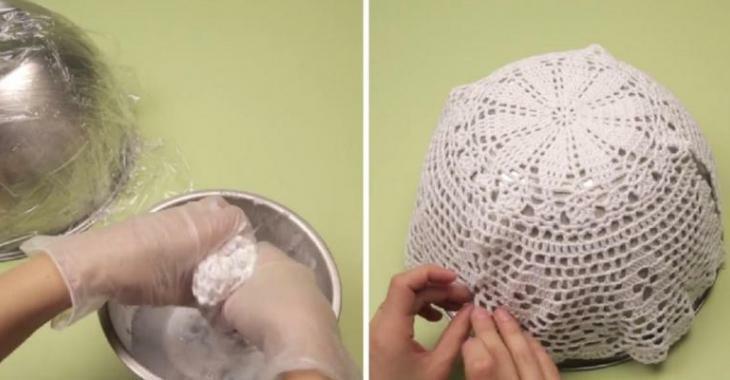 Here is a nice way to make beautiful cake dome with simple doilies and Mod Podge.